Only 7% of Florida Attorneys are Board Certified. Trust your matters only to a Board Certified Expert in Intellectual Property Law. Our lawyers have a wide range of industry experience including engineering, finance, and judicial administration backgrounds. Our law firm will protect your from all angles. A patent is a government-issued legal document that prevents others from using, selling, offering to sell, making, and importing an invention claimed in that patent. An issued patent is statutorily presumed valid, provides the owner with a monopoly on the claimed invention for twenty years from the filing date, and is one of the most valuable tools a business or individual can have in an IP portfolio to be successful. Please read more about patents here, or call one of our experienced professionals for assistance! A trademark is a word, name, symbol, or device that is used in trade with either good(s) or service(s) to indicate the source of said good(s) or service(s), and to distinguish them from the good(s) or service(s) of others. Ensuring a trademark is adequately protected, and policed, is ESSENTIAL to any successful business. Said another way, without trademarks, businesses would have little recourse others using the same or confusingly similar word, name, or symbol. To read more about trademarks and why they are so essential, please visit us here, or call one of our experienced professionals for assistance. Whether you are a photographer, musician, web developer, or other artist and/or creator, a registered copyright is a significant tool that can help protect your work. A copyright is a form of protection provided by the laws of the United States (Title 17 of the U.S. Code) to the authors as it relates to their “original works of authorship.” This may include literary works (such as books or novels), dramatic works (such as plays), musical works (such as songs), artistic works (such as paintings), and certain other intellectual works. You have copyright protection regardless of whether the work is published or unpublished. Generally, a trade secret allows a person or company to protect a formula, pattern, compilation, program, or technique that is confidential and derives economic benefit to said person or company from not being generally known. Recently, in May 11, 2016, the Federal government has codified a Federal trade secret cause of action under the "Defend Trade Secrets Act" (DTSA), 18 U.S.C. § 1836. Said another way, the DTSA enables an owner of a trade secret to bring a Federal cause of action when a person or company misappropriates a protectable trade secret. Florida, like many other states, has also codified a statutory cause of action, Fla. Stat. § 688.002, for the misappropriation of a trade secret. Domain disputes arise under the broader classification of Internet law. Most domain disputes arise out of a person's or entity's use of a trademark in the domain name or body of a website in way to cause confusion, mistake, or deception among consumers. Some domain disputes can be brought and settled through arbitration governed by the Internet Corporation for assigned Names and Numbers (ICANN) and the Uniform Domain Name Dispute Resolution Policy (UDRP). Challenges to a domain name may also be brought under the Federal statute entitled, Anti-Cybersquatting Consumer Protection Act (ACPA), among other potential causes of action. Our domain dispute lawyers are here to help. Protecting your patent, trademark, and copyright against infringement is vital and something you must consider when selecting an Intellectual Property law firm. Our team of experienced legal professionals have decades of combined legal experience and are ready to assist you in all litigation matters. 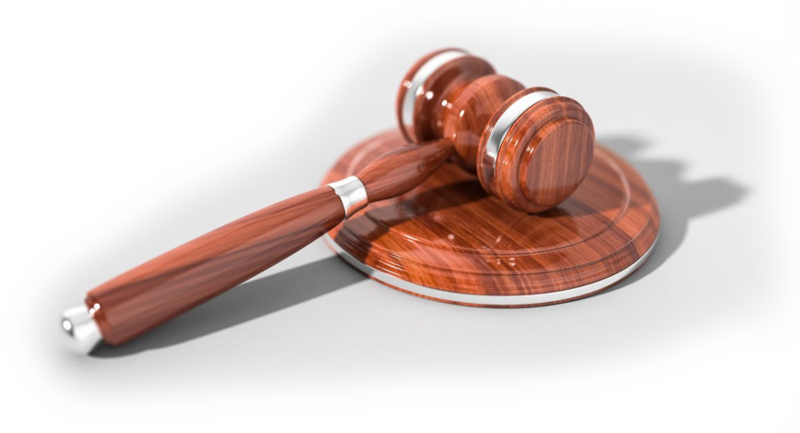 From litigating Patent Infringement and Trademark Litigation cases to suing billion dollar insurance conglomerates, our Patent Infringement Lawyers and Trademark Litigation Lawyers have years of experience in the courtroom and have successfully recovered millions of dollars for our clients.